An update to Vol. 2, pp. 399–409. The latest excavations at En-Gedi were conducted during seven consecutive seasons from 1996 to 2002, under the direction of Y. Hirschfeld on behalf of the Institute of Archaeology of the Hebrew University of Jerusalem. The excavations focused on seven areas in the En-Gedi oasis: the Roman-Byzantine village (areas A, C, D), the Roman bathhouse (area E), Meẓad ‘Arugot (area B), the flour mills (area F), and the Essene site (area H). In addition, excavations and a survey of the agricultural terraces and irrigation system (area G) were carried out by G. Hadas of Kibbutz En-Gedi. THE ROMAN-BYZANTINE VILLAGE (AREAS A, C, D). 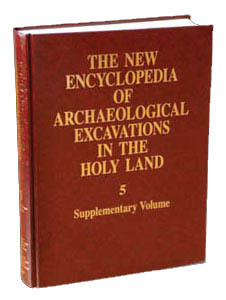 During the course of the excavations a large area of about 1 a., one-tenth of the total area of En-Gedi, was uncovered north of the synagogue. This area was described by Eusebius in the fourth century CE as a large Jewish village where the balsam plant (opobalsamum) was cultivated. The village was densely built up with houses in very close proximity to each other; building remains were encountered wherever an excavation area was opened. Four main settlement strata were distinguished in the village, dating to the Early Roman (stratum IV), the Late Roman and Byzantine (strata III–II), and the Mameluke periods (stratum I).